Underground or above ground, Lot is beautiful and full of amazing sights! Journey to the centre of the earth! The subterranean world of the Department of Lot is equivalent to what you discover on the surface: wealth and beauty. In Lot, there are many chasms, caves and palaeontological sites. There are at least 8 open to the public. This is what makes Lot one of the richest departments in France in underground cavities. Go underground to explore and discover them and their fascinating stories will take you back a few years. You will be amazed. How could you imagine while wandering around these limestone plateaus and valleys that an incredible life exists underground. 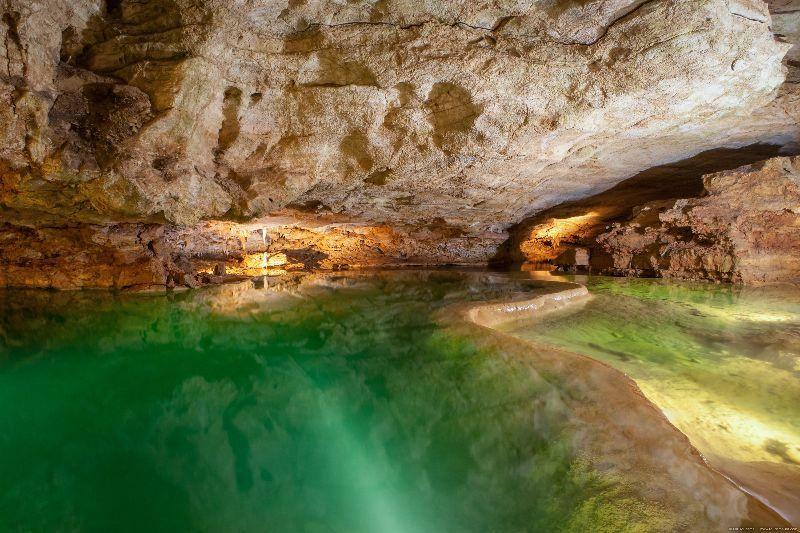 There, you will find your child’s heart by discovering this fairyland of caves. Padirac Chasm is a monumental natural cavity located 4 km from the Ventoulou campsite. It is among the most emblematic caves and chasms and the leading underground site in France. The opening is 35 meters in diameter and the chasm plunges 75 meters below the surface of the plateau. 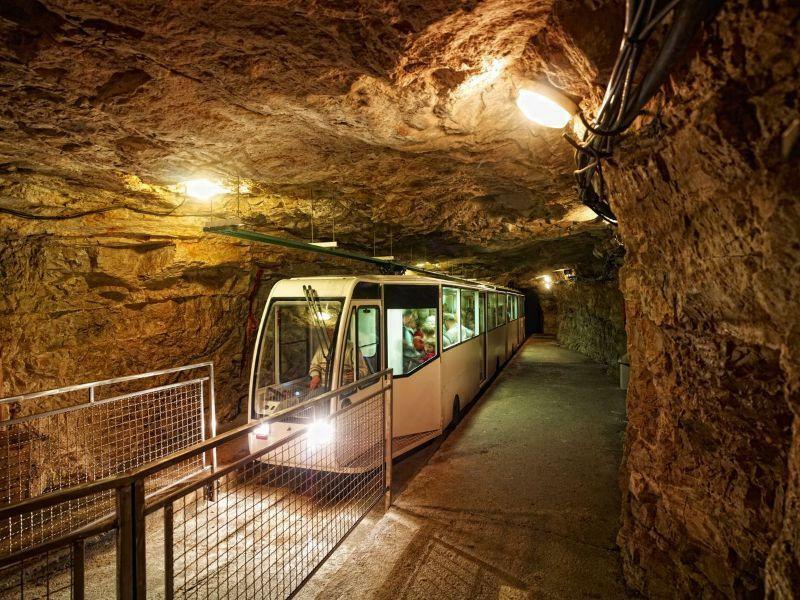 At the bottom, 103 meters underground, flows the Padirac River, winding through a network of over 40 km of galleries! The tour is partly by boat on the underground river and then on foot. The ride down by a small electric train takes you to a magical world, a succession of halls where the concretions are reflected in the water of the little underground lakes. Then we find ourselves in a cave of 2,000 m² where the black light makes the rock sparkle. Equipped with formidable acoustics, the cave is sometimes turned into a concert hall during the summer, after the tours. If you have the opportunity, it is a special experience to share. The Presque Caves have the most beautiful stalagmite pillars. Some, such as “Les Cierges” are very refined and can reach 10 meters in height. Easily accessible even with young children, you can admire an uninterrupted series of concretions with varied hues and graceful and elegant forms. Shallow and modest in size, the cave’s crystalline concretions are the first thing that visitors see. Once accustomed, the eye then distinguishes some of the seventy parietal paintings identified by prehistorians. 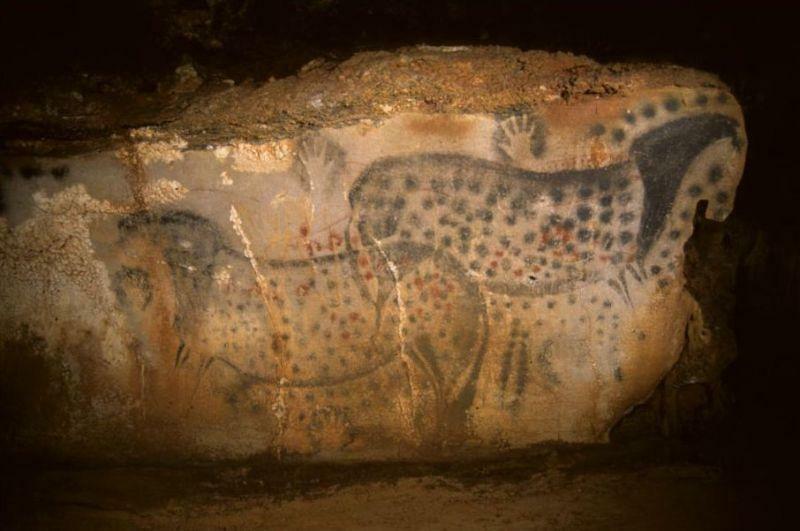 Over 20,000 years ago, men came to paint outlines of hands, deer and dots... as a result of these paintings, the cave has been listed as a Historical Monument since 1925. The most recently opened cave in France (July 1, 2018), it offers a new vision of the depths of our Earth. Carved and meticulously shaped by water, erosion and weather, the Carbonnières Cave, located near Rocamadour and Padirac, in the area of Lacave, presents a great diversity of mineral formations where stalactites, draperies, disks, impressive columns and translucent fistulous rub shoulders. A sanctuary imbued with magic, the two caves are characterised by a prodigious mineral outcroppings surrounding remarkable prehistoric paintings: ibex, mammoths, large deer, human figures, various symbols, etc... The Cougnac Caves display some of the oldest figurative drawings open to the public. The decorated gallery, listed as a Historic Monument since 1954, reveals various traces left by our Upper Palaeolithic ancestors about 25,000 years ago. 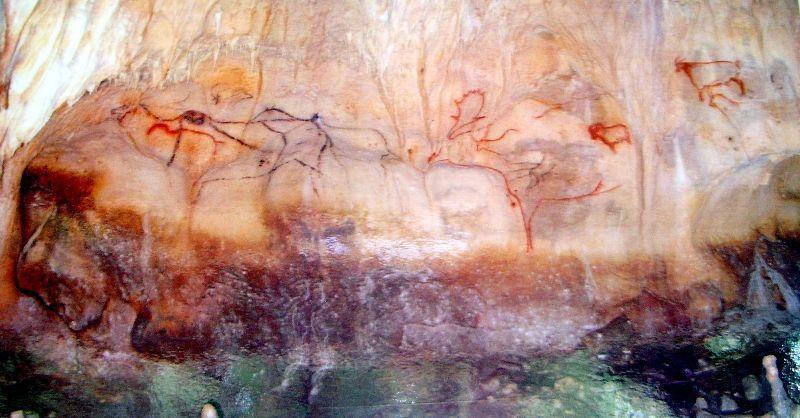 Listed as a Historic Monument, the Pech Merle Cave is one of the few caves still open to the public where you can admire the original paintings. It is characterised by the association of the natural beauty of the concretions with remarkable prehistoric works of art. The many drawings and engravings, dating back around 25,000 years, are very well preserved and display all the techniques of cave art. These ancient phosphate mines invite you to discover an unexpected tropical vegetation. The tour is amazing and the site is unbelievable. 2016 marked the opening of the International Centre for Parietal Art in Montignac-Lascaux, focusing on the complete reproduction of the Lascaux Cave and on the use of new imaging and virtual technologies. The Crystal Cathedral is the largest equipped cavity in Périgord. Considered at the end of the 18th century as the crater of an extinct volcano, the site has been open to the public since 1907! 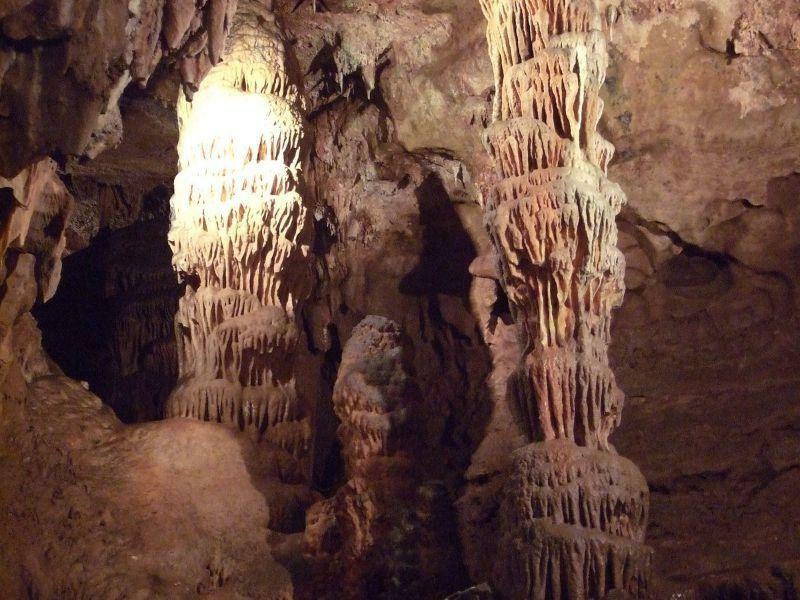 Under the Bastide town of Domme lies the fantastic world of the largest cave in Black Périgord, with its colonnades, stalactites and stalagmites. An underground jewel, the entrance to the Domme Cave is located under the 17th century covered market and invites you to explore a real treasure of a gallery of 450 m.
Let yourself be surprised by a unique and magical cave. 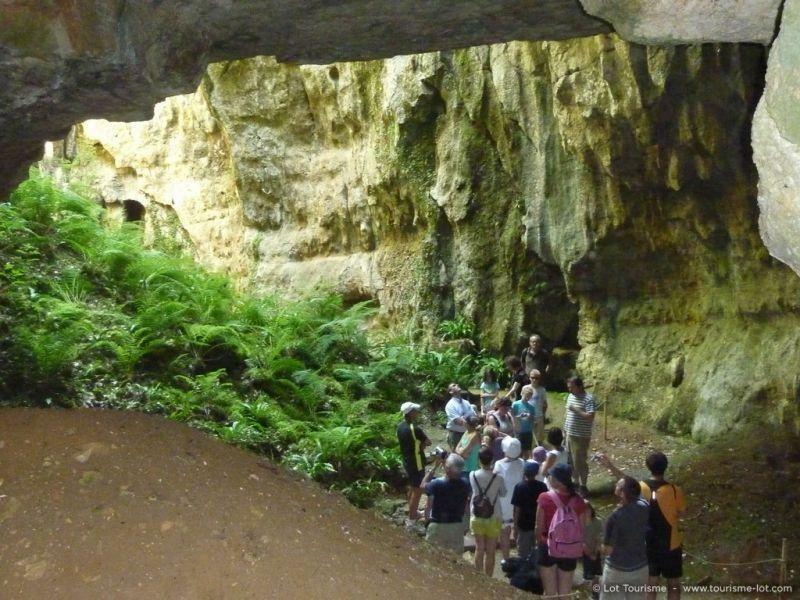 Maxange is a site that delights young and old and is recognised as one of the most beautiful concretion caves in France.